At the weekend it was my Step Fathers birthday, aka The Fat Italian. He gained the nickname from his slightly obsessive relationship with food and has even been known to get hostile at the threat of somebody eating the last piece of rocky road (I still have a bald patch where my hair never grew back). 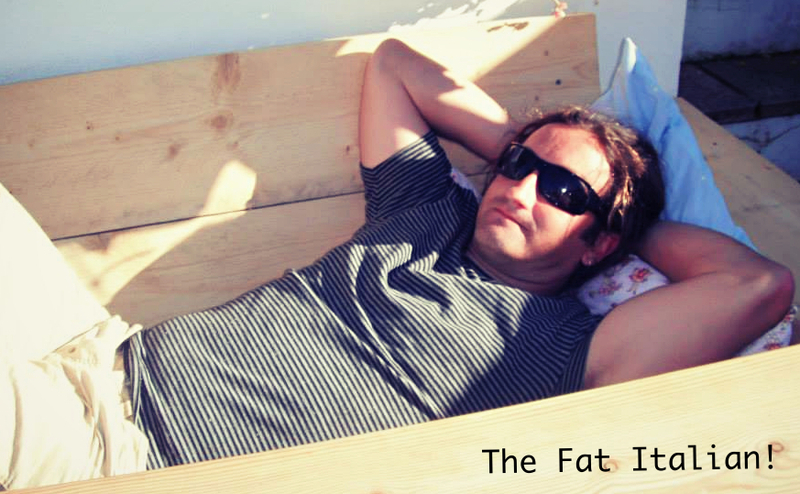 The fat Italian is actually half Italian – so you can see what we did with the name there! My mother made a gigantic lunch for his birthday and true to family tradition at least 3 different desserts where on offer, one of which was my Vegan Chocolate and Strawberry Cheesecake Cups. Certain members of my family (who aren’t vegetarian or vegan) don’t understand the concept of sugar free desserts, with my younger brothers being my biggest critics. I watched contently as the pair of them greedily devoured my sugarless creamy vegan cups. The centre of these desserts were so incredibly moreish I promise you, you wouldn’t have realised you were eating tofu. The sweet nutty biscuit like base along with the rich chocolate topping and the fresh strawberries were enough to convince my brothers. I felt a point was made, that it’s not always necessary to add a tonne of refined sugar to enjoy your dessert. Place the tofu in a colander to drain off any excess liquid. To make the base, chop the almonds and dates and place into a blender. (If you’re using a high-speed blender there is no need to chop before adding.) Blitz for a few seconds with 1 tablespoon of cocoa powder. Spoon the base into 6 glasses and place in the fridge to chill. With a sharp knife cut along the edge of the vanilla pod and scrape out the seeds. Place into the clean blender along with the tofu and honey and blitz to a creamy texture. Take the glasses out of the fridge and arrange strawberries on the base reserving a few for decoration. Pour over the tofu mix and return to the fridge. Put the cocoa butter in a heat proof bowl and place over a pan of simmering water. Once the cocoa butter has melted add 4 tablespoons of cocoa powder, the maple syrup and mix well. Take off the heat and leave to cool slightly before pouring over the prepared cups, place a strawberry on top. 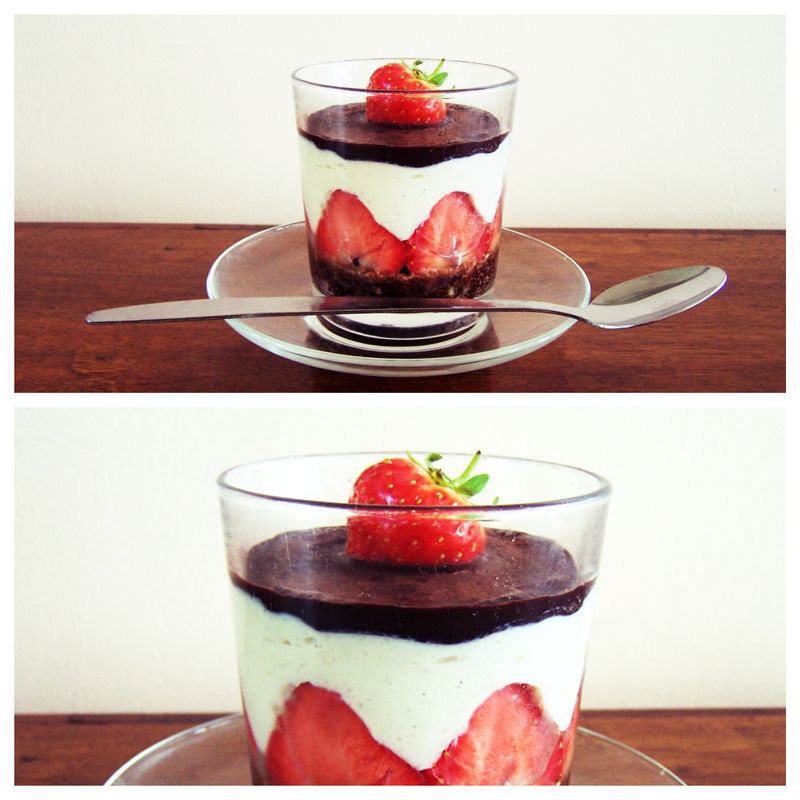 This entry was posted in Uncategorized and tagged cheesecake, Chocolate, Strawberry, Sugar Free, tofu, vanilla, vegan. Bookmark the permalink.